Category Archives: Reviews of books and things. From my shelf. The Horse’s Mouth. One of my favourite things on Facebook recently were the posts called Shelfies ( shelvies). They are photos of peoples bookshelves, and I really enjoyed trying to see what reading habits many of my friends have. There are many books on my shelves that I hope to someday reread and this is one of them. It’s probably 25 years since I read The Horse’s Mouth by Joyce Cary, and that’s been too long. 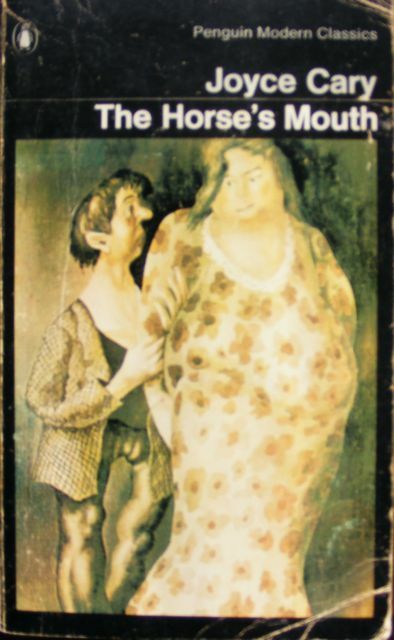 The Horse’s Mouth is a 1944 novel by Joyce Cary, the third in his First Trilogy, whose first two books are Herself Surprised (1941) and To Be A Pilgrim (1942). The Horse’s Mouth follows the adventures of Gulley Jimson, an artist who would exploit his friends and acquaintances to earn a quid, told from his point of view, just as the other books in the First Trilogy tell events from their central characters’ different points of view. Cary’s novel also uses Gulley’s unique perspective to comment on the social and political events of the time. Invitation to the book launch for Elaine Harrison: I am an island that dreams. The gala opening at the Confederation Centre on Saturday night at 7:00 will also be the book launch for a book of paintings and poetry by the late PEI artist Elaine Harrison. My wife Jane wrote an essay about Elaine’s writing for the book and chose the poems to include. The book is published by the Confederation Centre Art Gallery and the Acorn Press. We can’t wait to see it, and to see the exhibition at the Art Gallery. There was never a retrospective this big of Elaine’s work in her lifetime. Elaine Harrison is a painter that more of Canada should know about. She was always an inspiration to me with her strong, bright colours and dedication to painting what she imagined. The Shaw Building Fountain. An Artist’s Review. 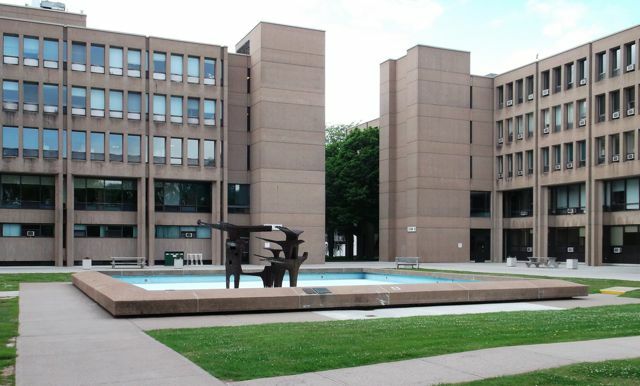 When I was a kid the Shaw building fountain was something that really caught my attention. Maybe I liked it so much because I always wanted to jump in for a swim, or maybe it just that it was the largest fountain in town, and shot water high into the air. At night it’s many coloured lights added a gaudy atmosphere to the rather unimaginative plaza that it’s situated in. Sadly it has fallen into disrepair and has been almost forgotten. 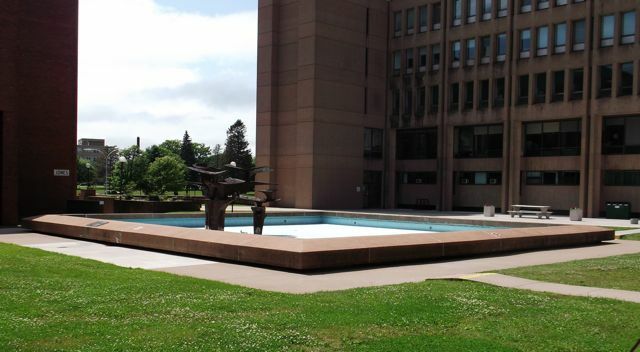 The fountain is situated in a plaza that is surrounded on three sides by the Provincial government offices. The buildings are particularly ugly, and though one is finished in brick, the other two are raw concrete, and to me seem almost unfinished. If you get close to the buildings there are holes drilled in the concrete, and I wonder if they are anchor points for stone or brickwork. With a little work this space could be a vibrant and enjoyable place, a few trees, benches, and the fountain restored would make for a vast improvement. 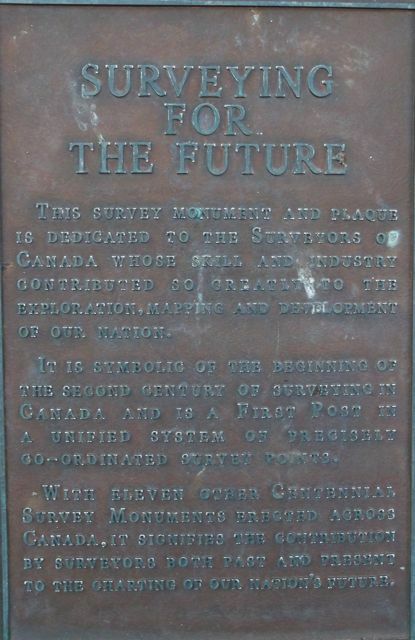 1967 was the centennial year for Canada. Much rejoicing for what was supposed to have been Canada’s century! 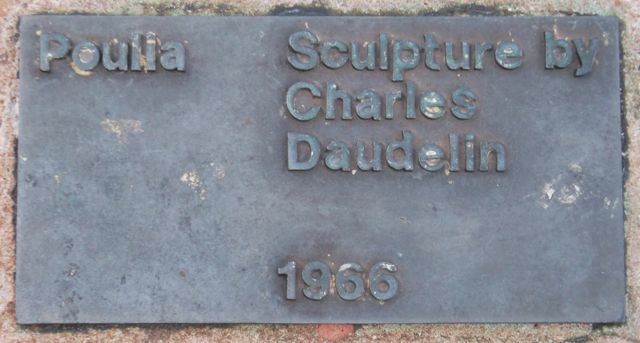 The sculpture entitled Poulia is by Quebec artist Charles Daudelin. Though I like the sculpture, I find it very typical of Canadian art of the period. Not too abstract, and with just a bit of a nod to the grand Canadian wilderness. Designed not to offend anyone, anywhere, a Canadian sculpture, and very clearly not American, and yet strangely British. 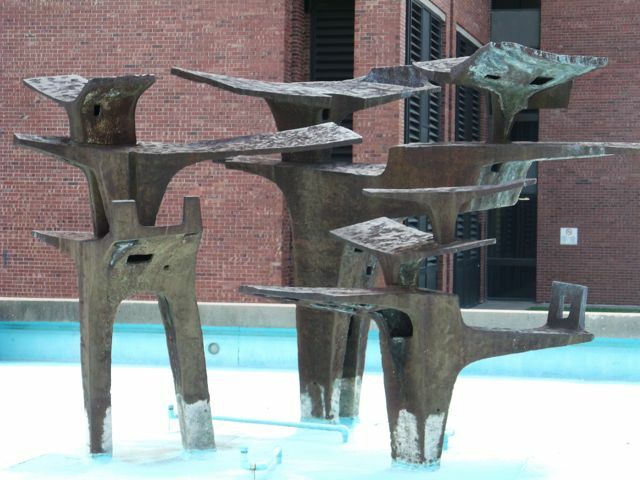 I would be surprised if the basin could still hold water, and I worry that some day the fountain will be taken apart, and the sculpture scrapped. Abstract Painting In Canada. An Artist’s Bookshelf Review. 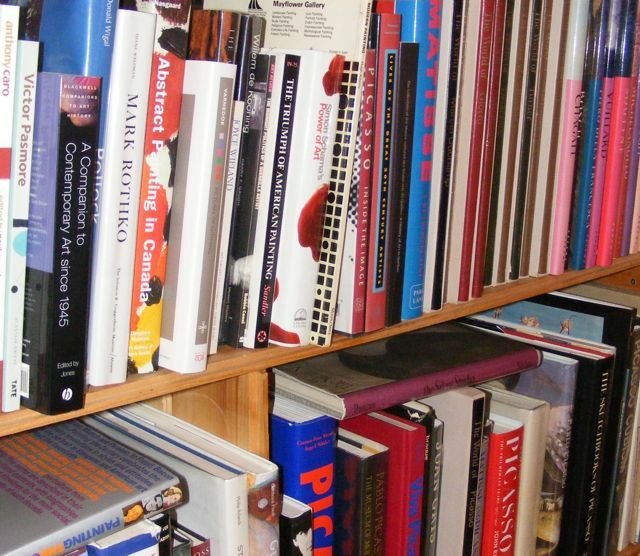 I’ve had a long love of books, and some of my most prized books are art books. This is a review of books from my collection that can be found on shelves in my studio. I will provide links when possible. 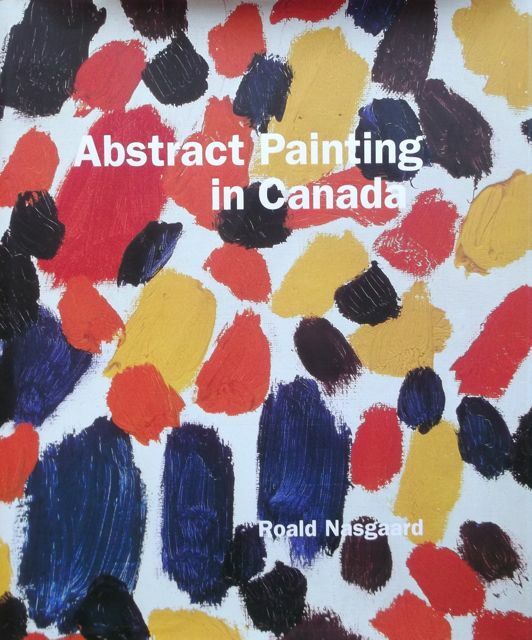 If I had to recommend the one essential book about painting of any kind in Canada it would be Abstract Painting in Canada by Roald Nasgaard. This great resource is published by Douglas & McIntyre and the Art Gallery of Nova Scotia. It is an in-depth history of Canadian abstract painting from the 1920s to the turn of the millennium. Covering the many regional variations, schools, movements, and players in abstract painting in Canada, from the Automatistes of Montreal, to the east coast conceptual scene, to the west coast lyrical abstraction, to Toronto’s Painters Eleven. European art movements such as surrealism played a role in shaping the careers of many Canadian abstract artists, and many artists looked to Paris as well as New York as the centre of the art world. While artists such as Jean-Paul Riopelle, and Paul-Emile Borduas, and Jean McEwen lived and worked in Paris, some such as William Ronald moved to New York. Still many more such as Painters Eleven remained in Canada, determined to create opportunities to exhibit their work and break away from the overbearing shadow of the Group of Seven and Canadian artistic conservatism. Today there are many interesting painters working in all regions of Canada. But sadly it’s still hard to see their work. Canada is a huge, thinly populated country, and though there are many great galleries and museums, cuts by the Conservative government to museum exhibit transportation services means it is very costly to ship exhibitions from city to city let alone coast to coast. Add to this very little media coverage and only a handful of arts publications, and we end up with isolated groups even within our larger centres such as Toronto, Montreal, and Vancouver. Canadian abstraction differs from American abstraction most obviously in scale, and while early Canadian abstract painters did work on a large scale it was never as massive as most American painters. The use of materials and finish is also very different. While American artists used industrial materials such as household paint or enamels and took pride in a workman-like, expressive handling of the paintings surface, Canadian painters tended to use traditional artist oil paint and worked their canvases to high degree of finish in a European manner. Of the artists in the book whose work I admire I would list Jean-Paul Riopelle, Paul-Emile Borduas, Francoise Sullivan, Jack Bush, Jean McEwen, Claude Tousignant, Ron Shuebrook, Otto Rogers, Betty Goodwin, and Francois Lacasse. It is a large book of 432 pages, with 200 fine colour illustrations that present the colour and texture of the paintings well, though as with all book illustrations it is hard to get a good impression of the scale. Patrick Heron. 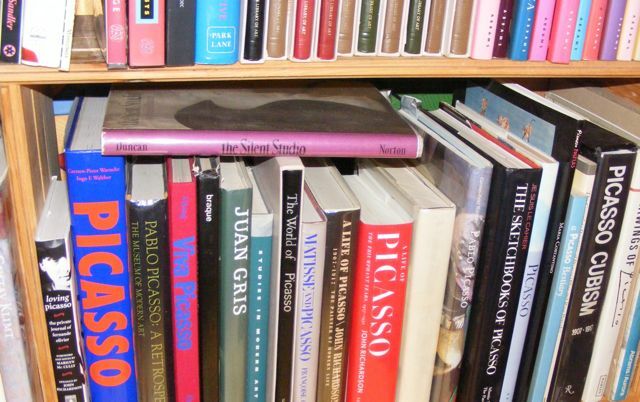 An Artist’s Bookshelf Review. 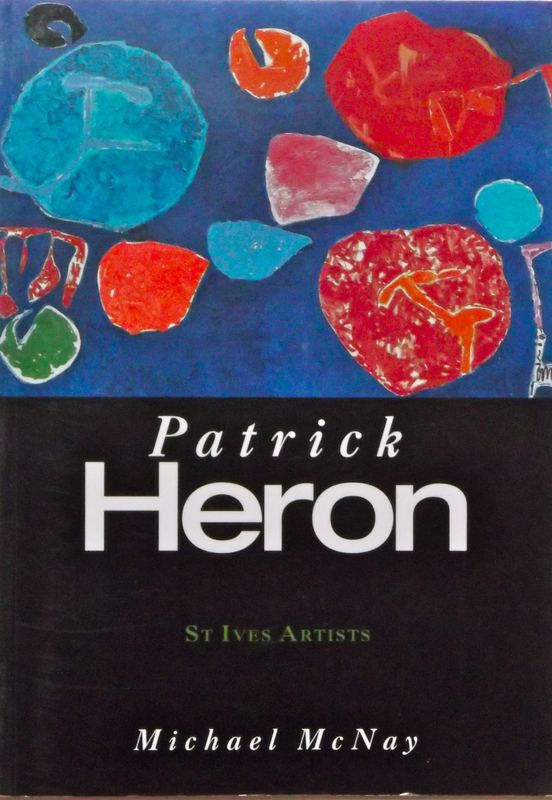 One of my favorite painters is the great British artist Patrick Heron, and this little book from the St Ives Artist series is a nice introduction to his work. It has an interesting and readable essay by Michael McNay that covers his life and career, and there are many colour illustrations that give a good sense of his progression as a colourist from his early, muted earth tones to his glorious Matisse-inspired canvases that would drive the majority of his career. I particularly admire his paintings from the 1960s of glowing orbs, with stunning colour, and loose aggressive brush strokes. His harder-edge paintings of the 1970s, though simpler in appearance, are feats of great endurance often painted with a small brush to create the clean crisp edge of his shapes. The colours of these painting can only be described as hot. But it is his late paintings of the 1990s that are to me his most daring works. They are made of loose flowing lines and scribbles of colour and are joyful, powerful works. I admire painters who keep on experimenting, and he went out with a bang. Stolen Art! The most photographed object in town? 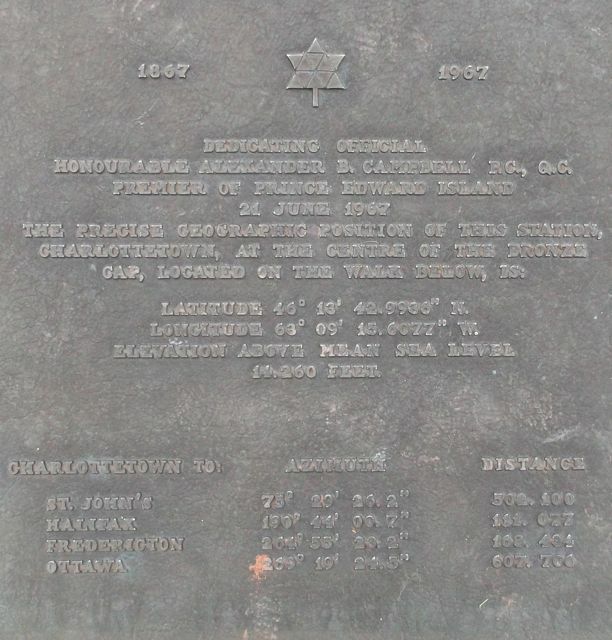 I picked up Charlottetown’s newspaper The Guardian to discover that the sculpture nicknamed Buttercup has been stolen. It was taken from in front of the store Sunday evening. Sometime when I walk around town I realize how many things I pass by every day and take for granted. 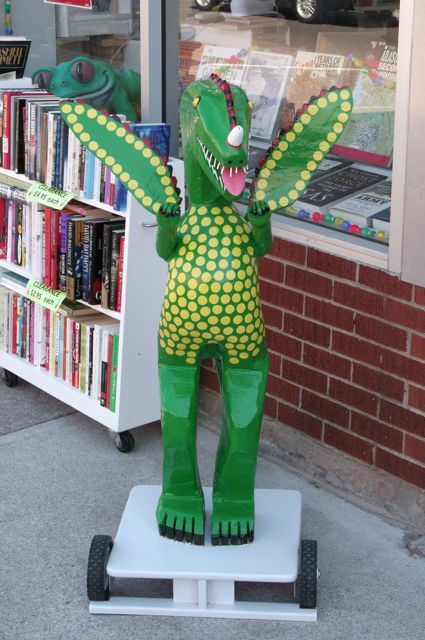 This piece of Nova Scotia folk art has stood outside the Book Emporium on Queen Street for many years, and is claimed by the owners to be the most photographed object in Charlottetown. 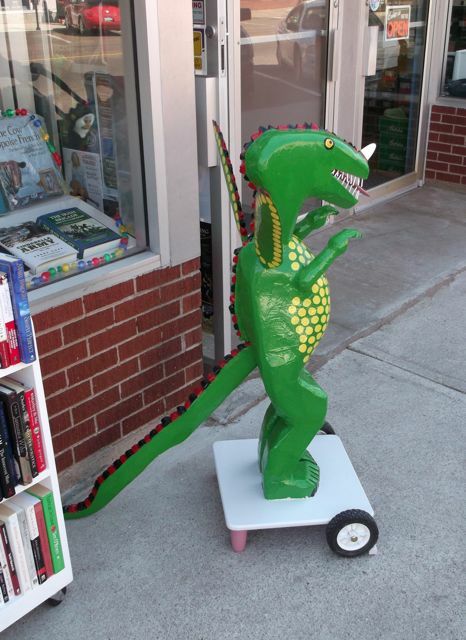 Indeed as I was talking to the store owner someone else snapped a photo of the sculpture. I’ve always liked this fun, and colourful creature, and it’s presence on the street is a pleasure to young and old alike. An Artist’s Bookshelf Review. Peter Doig. Peter Doig is an artist that may not be well known in Canada, but in my opinion should to be considered a Canadian painter. He was born in Scotland in 1959, and in 1962 he and his family moved to Trinidad, and then in 1966 moved to Canada. In 1979 he went to study in London, and in the mid-1980s he lived and worked in Montreal. He was nominated for the Turner Prize in 1994. Doig’s painting White Canoe sold at Sotheby’s in 2007 for $11.3 million, and at the time it was a record for a living European artist. He currently lives in Trinidad. Phaidon has included him in their contemporary artist series, and it is an interesting and beautiful book with essays by Adrian Searle, Kitty Scott, and Catherine Grenier. 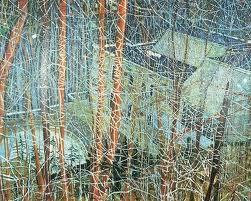 I consider Doig to be a Canadian artist partly because the influence of Canada runs strong in his work. I see Canadian influences in his subject matter and in the way he handles paint. The Canadian painter David Milne and the Group of Seven are obvious influences, and so is the Canadian landscape, both urban and rural. 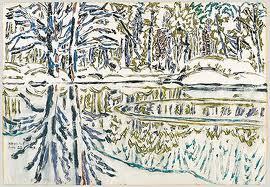 Many of his paintings include snow, and the canoe is a recurring motif. 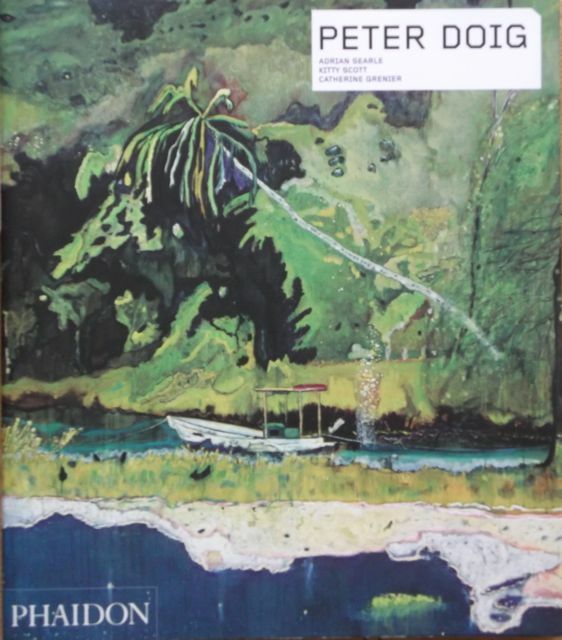 If you are interested in the work of Peter Doig this publication would be a great addition to your library. It’s an in depth record of his work, and influences and has numerous colour illustrations that give a good sense of his use of line, colour and composition.